We got our new Canon PowerShot G9X and have spent a few days trying it out, here’s what we think so far. This camera is unbelievably small, which makes it very easy to take along on just about any adventure. Despite it’s small size, it packs a lot of features and functions, including full manual control, RAW format still images and 60fps 1080p video. It’s going to take some getting used to. For starters, it is so small, I have to be careful where I grab it and put my fingers because the controls are operated by touch screen and my fingers inadvertently hit the buttons on the screen. For an old manual camera guy used to knobs, dials and levers, this is a pretty big change. The camera takes really nice photos so I’ll adjust to the new touch screen operation. The .CR2 RAW files don’t open in Adobe Photoshop CS6, but the Adobe DNG converter will do the job because we refuse to “upgrade” to subscription based Adobe software. 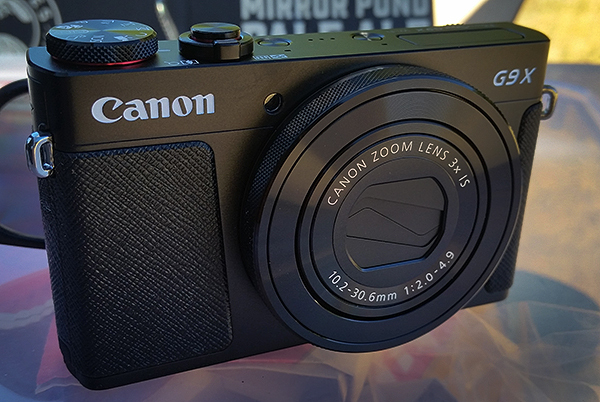 Anyway, we’ll have more on the Canon G9X as we get used to it. Hopefully, you’ll notice the better quality photos on the watermanatwork.com blog and website.